(Marumi UV filter, Lens Cleaning Kit, Lens Cap keeper, Tripod, Dslr Skin , popup diffuser) Worth Rs 5000 Absolutely Free. An entry level digital-SLR camera with a new CMOS image sensor, image-processing engine and helpful Guide mode that makes capturing beautiful images easy. FOR SPECIAL PRICE EMAIL US NOW - AVAILABLE - SPECIAL DISCOUNTS ON MANY PRODUCTS - LIMITED PERIOD OFFER. The D3100 is equipped with a new Nikon DX-format CMOS image sensor and a new image-processing engine, EXPEED 2, both developed by Nikon. The CMOS image sensor offers an effective pixel count of 14.2-million pixels (D3000: CCD image sensor with 10.2-million effective pixels) and enables capture of high-definition images exhibiting superior image quality with extremely detailed rendering and rich tones. The camera also makes the most of its standard sensitivity settings up to ISO 3200 (D3000: ISO 100–1600) and additional increases up to Hi 2 (ISO 12800 equivalent), with shooting under dim lighting, such as in the evening or indoors, as well as with sports scenes of rapidly moving subjects. EXPEED 2 is Nikon's new image-processing engine, developed by refining the concepts, know-how and technologies regarding digital images that Nikon has spent years cultivating. It maximises the performance of the CMOS image sensor to suppress noise in still images and movies and produces images that faithfully reproduce vivid colors. 2) A refined Guide mode that is even easier to useGuide mode has been refined to make most camera operations even easier, from shooting to image playback and editing to the application of camera settings, regardless of the user's skill level. The D3100 displays "assist images" that show the effect of various camera settings, giving users an idea of the results they can expect with specified settings. For example, when "Soften backgrounds" is selected and an aperture value is specified, the assist image displayed in the monitor changes to show the effect that aperture setting will have on images. This allows users to confirm that images will appear as they intended prior to shooting and reduces the number of unsuccessful shots. Selection from 3 shooting techniques: "Use the viewfinder," "Use live view," "Shoot movies"
By simply rotating the live view switch, the view through the lens is displayed in the monitor, enabling immediate live view recording. This makes shooting feel more like shooting with a compact digital camera, easing the transition to digital-SLR for beginners. In addition, various information such as the shooting mode, time remaining (movie mode) and battery indicator, can be shown in the live view display. The D3100 is equipped with the D-Movie function that enables recording of high-definition movies (with monaural sound) by simply pressing the movie-record button. Movies can be recorded with the same aperture and other settings applied in Guide mode, and movies that take full advantage of the characteristics of individual interchangeable lenses, whether wide-angle, telephoto or fisheye, can be recorded for movies that are only possible with a digital-SLR camera. In addition, the camera also offers an AF-F (full-time servo AF) focus mode for movie recording. When AF-F mode is enabled, the camera focuses continuously during movie recording without the need for holding the shutter-release button down halfway. The D3100 also offers in-camera movie editing functions that allow users to save a single frame as a still image or delete unnecessary portions from the beginning or end of movie files. 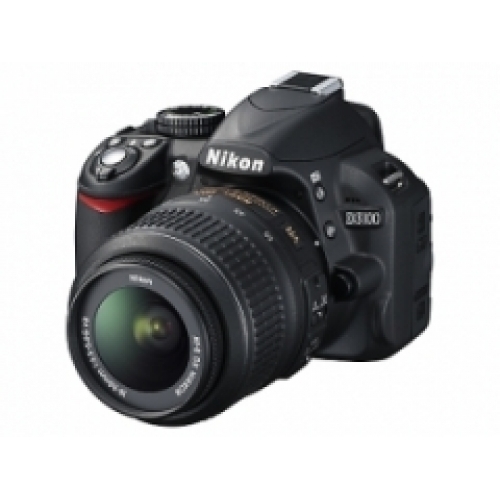 The D3100 is equipped with the scene auto selector function. When live view mode is enabled in Auto or Auto (flash off) mode, the camera automatically analyses the scene and selects the appropriate shooting mode from Portrait, Landscape, Close up or Night portrait*. This function allows users achieve the intended images while leaving all settings up to the camera. * Scene auto selector is disabled with manual focusing. Operation has been improved with the addition of an independent movie-record button and release-mode selector. In addition, the rubber grip provides a better fit. Self-Timer Electronically controlled timer with duration of 2 or 10s. 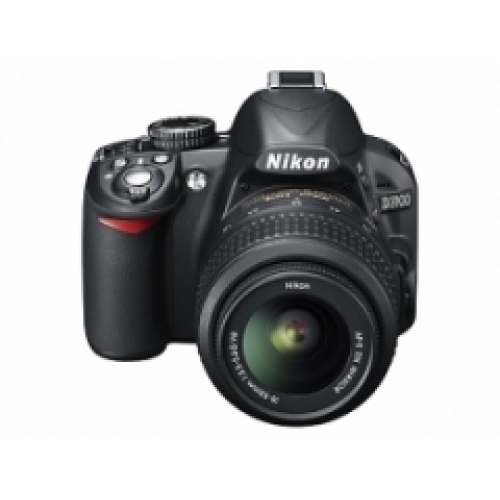 Nikon D3100 camera users reviews are welcomed.